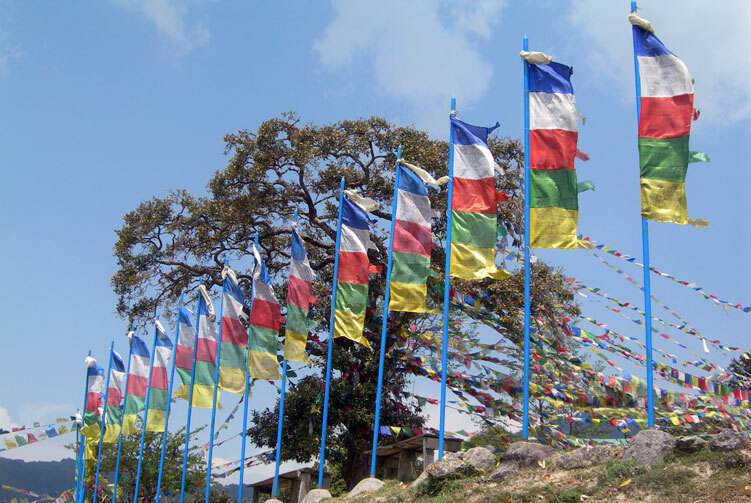 leads you through Tamang villages, stupas/monastries to the extremely adventurous trekking trail. 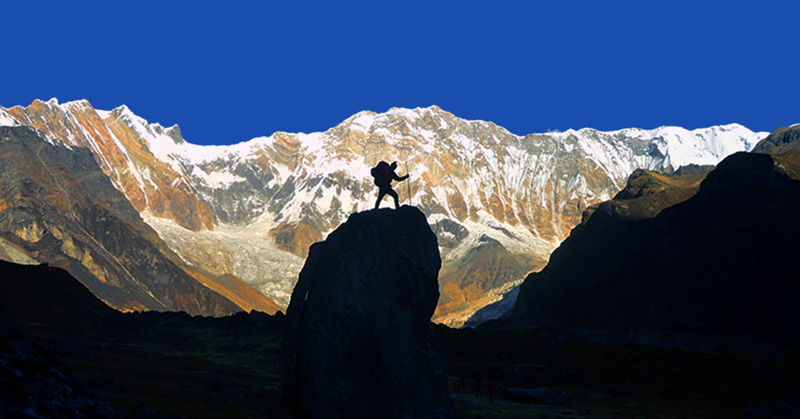 A marvelous trekking through Langtang region. Hiking to Tserko Ri 5,000m. Trekking over Ganja La Pass at 5,130m. Amazing Sherpa and Tamang cultural exploration. 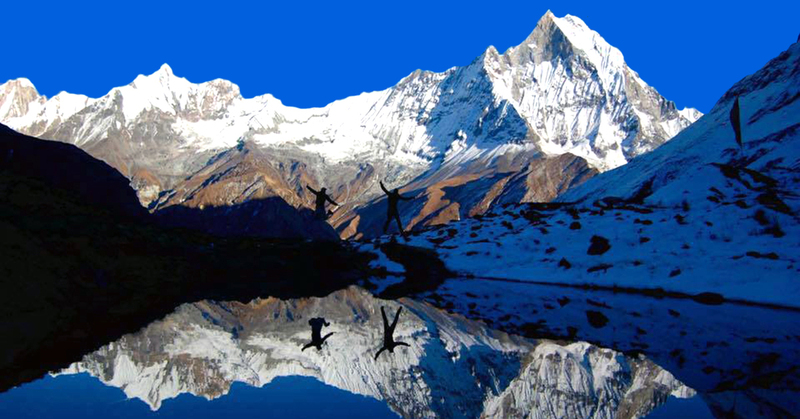 Ganja La Pass trekking in Langtang region of Nepal can be your ideal adventure trip. This fascinating trekking trip in the Himalayas is such a journey that takes you deeper in to the Langtang valley and higher to the Ganja La pass at the elevation of 5,130 meters above sea level. One of the adventurous and wonderful trekking trips in the Himalayas, Ganja La pass trekking is the choice of adventurers for many reasons. 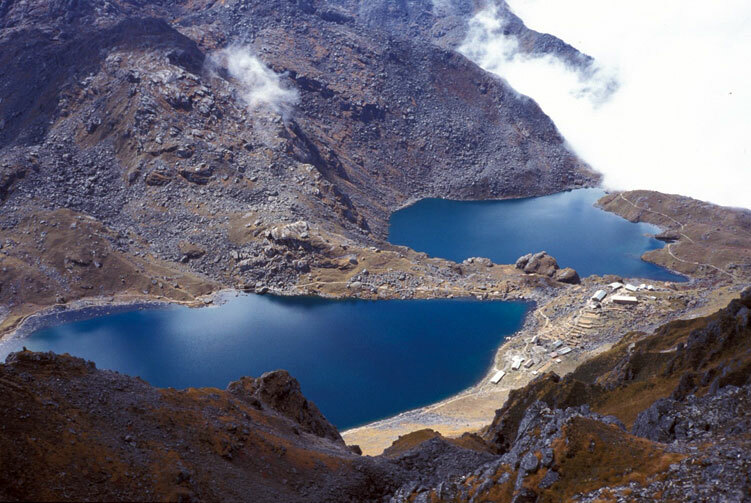 From the Tamang and Sherpa cultural wonders to the natural charisma of the area make the trip truly a fascinating one. In addition to the natural and cultural wonders, some spectacularly breathtaking views of the Himalayas from Tserko Ri, Ganja La and from other parts of the trail add to the marvels of the trek. Exploring the rich ethnic culture and Buddhist traditions of the region while trekking through brings you an awesome insight on the life style in the mountains of Nepal. Chhortens, mani walls, and Gompas that you come along throughout the trek give you an impression of the dominance of Buddhist cultural traditions in the region. Apart from the immersion into cultural marvels, you will experience a wonderful adventure walking along the trail closer to the mighty mountains. Day 04: Trek to Sherpa Gaon (2,563m), Overnight in Lodge. We are all set to start the first day of trekking journey in Langtang region. We are heading towards Sherpa Gaun today. The trail passes through serene surrounding of mountains and pleasant nature. It is our first day in the scenic mountains and we enjoy the scenic beauty of the area while traversing the trail up and down the hills. 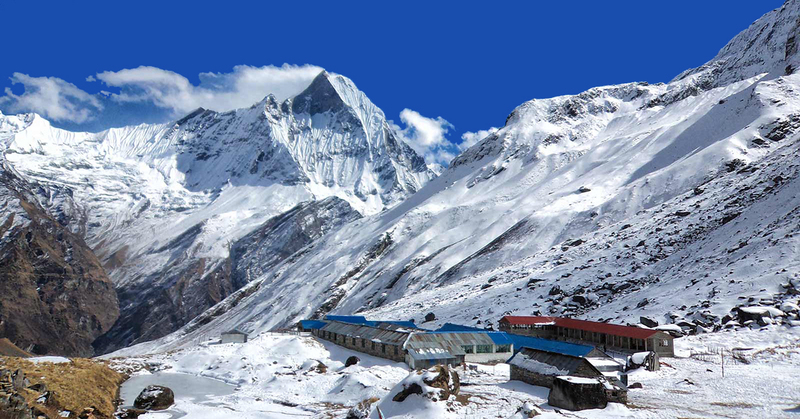 When we reach Sherpa Gaun, we explore the Sherpa cultural wonders of the place as suggested by the name of the place. Day 05: Trek to Thyangsyapu (3,120m), Overnight in Lodge. On the second day of walk in the mountains of Langtang region, we are trekking to Thyangsyapu today that takes us above 3,000 meters above sea level. It is another day of beautiful natural and cultural exploration of the area on foot. 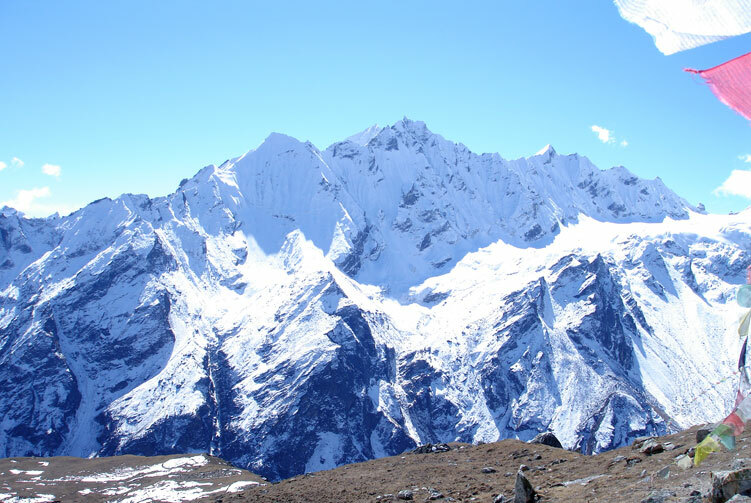 It takes us deeper into the Langtang valley geographically and culturally as well. We reach the destination for the day and laze around for the rest of the day enjoying the wonders of mountains. Day 06: Trek to Mundu (3,340m), Overnight in Lodge. The walk from Thyangsyapu to Mundu in Langtang region takes us past Langtang village or actually where Langtang village used to stand once before the earthquake in 2015. Sadly, entire Langtang village was swept away when a glacial landslide due to the earthquake struck the village. We walk further to Mundu village for overnight. The day walk brings some beautiful views of mountain peaks to make our day wonderful. Day 07: Trek to Kyanjin Gonpa (3730m), Overnight in Lodge. Day 08: Acclimatization Day in Kyanjin Gompa, Overnight in Lodge. We spend an additional day here in Kyanjing Gompa but we won�t necessarily stay idle. We go for an amazing hike to Tserko Ri that stands at 5,000 meters above sea level. Our day starts before the break of dawn to meet the sunrise view from the top. Stunning views of the mountain peaks along with a spectacular sunrise over the Himalayas make our day wonderful. Later, we trek back to Kyanjing village and spend the whole day exploring the spiritual beauty of monastery there and the view. 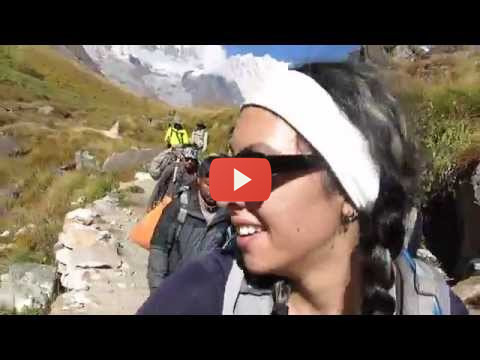 Day 09: Trek to Ganja La Base camp (4,430m), Overnight in Camp. After exploring Kyanjing Gompa and village and hiking to Tserko Ri for a whole day yesterday, we start our trek towards Ganja La Base Camp today. We set off for the trek after breakfast and cross Langtang River and start uphill trek through rhododendron forest towards Ganja La Base Camp to stay overnight. Once we reach there, we explore around and try to adjust with the thinning layer of oxygen in the air. Day 10: Trek to Ganja la high camp (4,960m), Overnight in Camp. We are trekking to the high camp today. We set off on a gentle paced walk towards the destination for the day. We are taking it as an easy day walk to the high camp. When we reach the high camp, we take our leisurely time to explore and acclimatize with the high altitude climate. The beauty of wonderful mountains keeps us engaged. 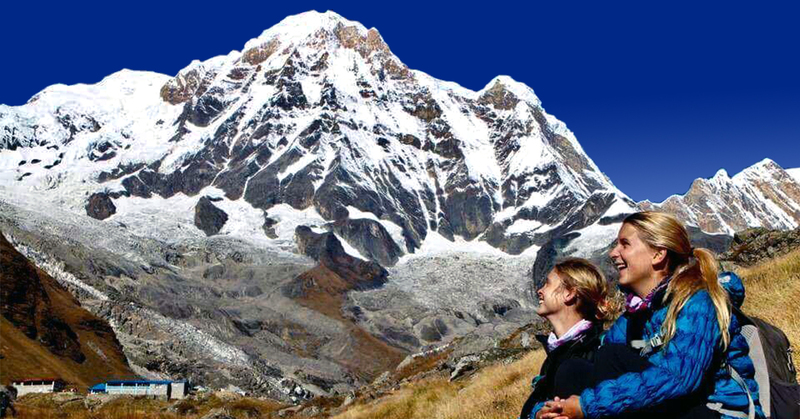 It is the highlight day of the trip today as we are going to walk over the 5,130 meters Ganja La pass. The pass is generally covered in snow almost throughout the year. We take up the early morning uphill challenge to the pass and spend some time there before descending to Kharka for overnight stay. Although the walk up to the pass is hard, we will be rewarded with a spectacular view. Day 12: Trek to Dhupku (4,040m), Overnight in Camp. After crossing the Ganja La pass, we are on the return journey back towards Kathmandu. We trek to Dhupku today. This trekking journey for the day takes us lower in the elevation through fascinating trails that brings beautiful views of the surrounding. A wonderful day in the serene mountain atmosphere never stops fascinating us with wonders. We reach Dhupku to stay overnight. Day 13: Trek to Yangri Khara (3,130m), Overnight in Camp. Our destination for the day is Yangri Kharka. 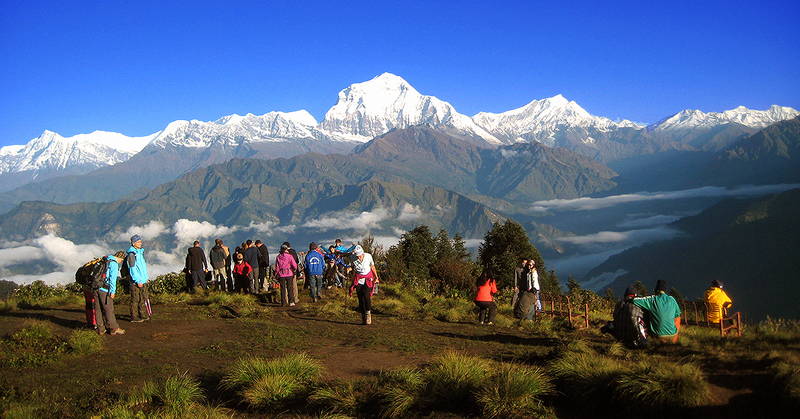 We set off on the trek after relishing breakfast at Dhupku and traverse through natural wonders along the way. We explore and immerse into the charm of mountains and surroundings. Once in Yangri Kharka, we laze around for the rest of the day. Day 14: Trek to Gangyul (2,770m), Overnight in Camp. Trekking to Gangyul today is another beautiful day of walking through the natural and cultural wonders. We walk along the beautiful surroundings on our pace enjoying all the marvels that come along. Eventually, we reach Gangyul to stay overnight. Gangyul is a village with rich ethnic Sherpa culture where we can see the Buddhist cultural influence. Day 15: Trek to Kakani (1,996m), Overnight in Camp. We are trekking to Kakani today after breakfast. We leave behind the beautiful Sherpa village of Gangyul and advance towards Kakani. Along the trail, we can experience the same level of amazement as the natural and cultural marvels keep surprising us. We reach Kakani and spend some leisurely time around. It's our last trekking day in the trip. We are going to conclude the trekking journey in Melamchi Pul Bazar and then drive to Kathmandu. We start early in the morning after breakfast and trek all the way down to Melamchi Pul Bazar to have lunch. Later, we take a bus ride back to Kathmandu that will take around four hours. Once we are in Kathmandu, we go to hotel and spend the whole day at leisure on our own. Finding relieving massage, good food, souvenir shopping, and wandering around can keep you busy for the day. Transportation from Kathmandu to Syabrubesi and from Melemchi Bazar to Kathmandu by Private Vehicle. 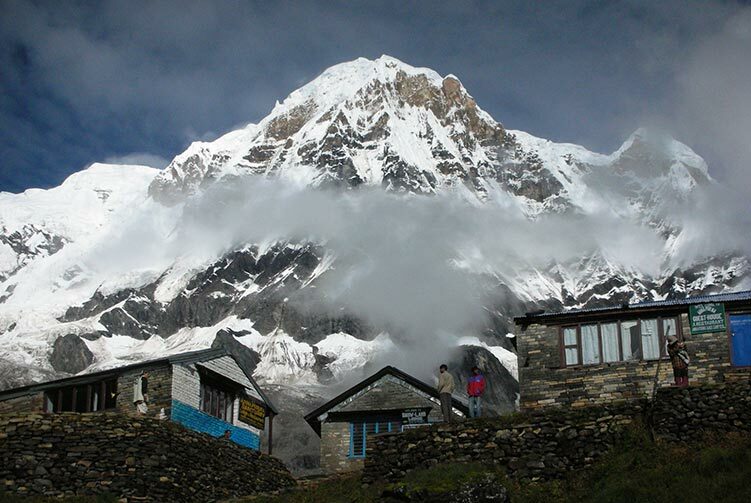 We offer you the best price guaranteed for Langtang Ganja La Pass Trek.